There's no place like home; a place where you finally come after a tiring day, a place where your can rest, a place you feel you belong to. To make your home more comfortable, we bring these smart gadgets for you from all over the world. Hayo: With tech development, we got remotes and apps for most of our home devices. But managing multiple remotes isn't easy, won't it be cool if we can just move our hands and control the device? Hayo creates a virtual remote control and lets you control all of your smart home devices just by moving your hands or touching the objects around you. 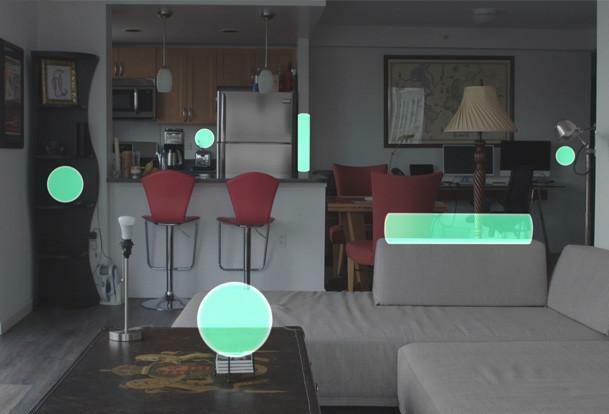 Hayo makes it possible for you to control your home with augmented reality. All you need to do is place Hayo in a room where you want a virtual remote control and it creates a 3D image map of the room. Using its augmented reality app, you can create virtual remote controls on top of objects or right in thin air. Next you connect them to your favorite connected home platforms and products like IFTTT, Wink, Sonos, and more and it gives you the ability to control them. Its app is compatible with iOS and Android. Pre-order: $279. 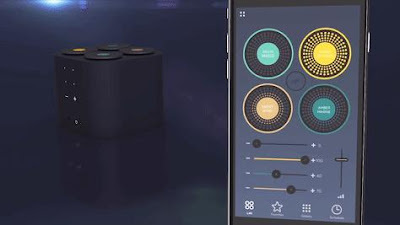 Woohoo Interactive Artificial Intelligence Hub: Woohoo Interactive Artificial Intelligence Hub is a simple to use and affordable solution that can turn your home into a smart home. It speaks the language of your smart devices as well as yours and will turn on lights, control the temperature, lock the doors, create to-do lists and lot more. This smart home hub features facial recognition (360° rotating 1080p HD camera), voice recognition, a 7-inch touchscreen, an artificial intelligence (AI) so it can continuously learn and more. It comes equipped with infrared night vision and a motiondetection system and alerts you if there is anything out of place. You can even access your personal files directly from USB; play high definition movies and music from Pandora or Youtube. You can also store digital content offline, and use its built-in 4G LTE network when there is no Wi-Fi. 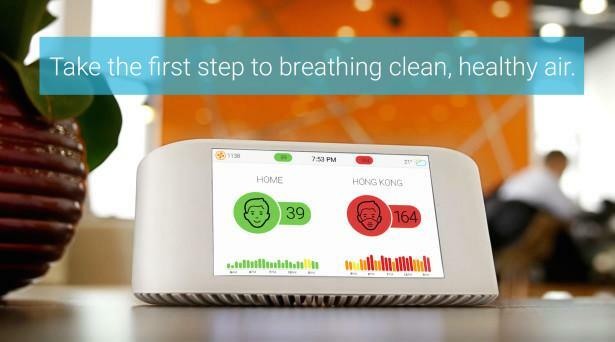 It lets you see the status of your home, your devices, and even who's in the house at any time. You can control it using its app on your smart phone also. More info. Altifarm: Gardening has always evoked a great interest for us from the start, and freshness of homegrown vegetables and herbs, joy of gardening is something you need to experience yourself. But now with limited time and tight space it's not possible anymore. 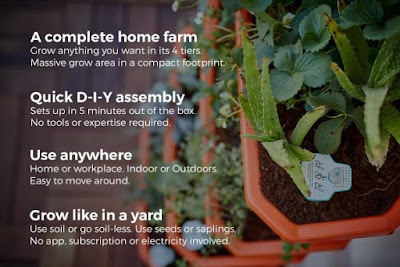 How many of you really want to do gardening/farming but cant due to limited space and time? Would you like to grow your own herbs and vegetables right at your home if we tell you that its quite simple and wont take much of your time or space? If interested, Altifarm is for you. Altifarm is designed for tight urban spaces and your busy lifestyle; it lets you enjoy the joy of gardening and freshness of homegrown herbs and vegetables with very little space and effort. Altifarm is a modular, all-season home farm that features self-watering, grow lights, mobility and more. It lets you grow serious amount of fresh produce at home with minimal effort - farm-fresh vegetables, leafy greens, herbs, micro-greens, fruits and more. What more, it takes care of essential aspects of watering, light, space, plant care and more, mostly on its own. It consists of 4-tiers, expansion packs, inbuilt self-watering system, takes minimal floor space while providing large grow area, is easy to install and an attractive addition to your abode. Pre-order: From $179. 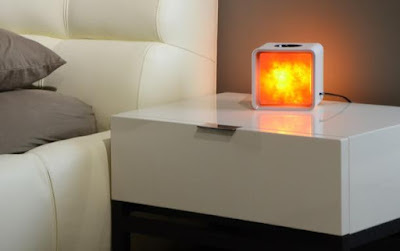 Zencube Smart Himalayan Salt Lamp: We have read about many claims that salt lamps are beneficial for our health, but the fact is that most of these salt lamps look a bit too crude. Zencube gives you all the benefits of the salt lamp in this smart Himalayan salt lamp that combines the salt lamps functionality with modern, contemporary design and the latest smart technology. 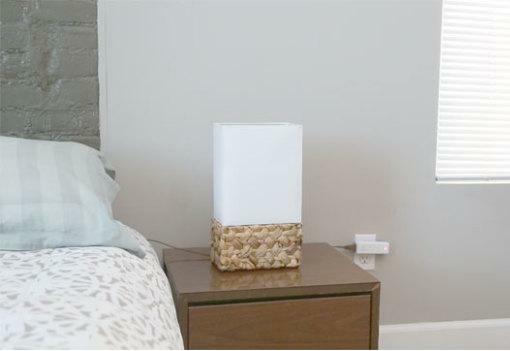 You change the color of the lamp to reflect your room via your smartphone. Apart from the benefits of the Himalayan salt, it also comes with calming effects of aroma. Pre-order: $249. Moodo Smart Home Fragrance Box: Its beyond any reasonable doubt that fragrances can work wonders for you. The Moodo Smart Home Fragrance Box lets you take full control of your home's ambiance and control the feeling in any room using fragrance pocket and your smartphone. You can Use its app to try the presets or mix your own scents. It lets you change the ambiance instantly using its app by mixing and matching the entire scent spectrum. For a perfect ambiance you have your ideal lighting, favorite décor, your favorite music and now you can control the elusive dimension of fragrance. Pre-order: From $149. 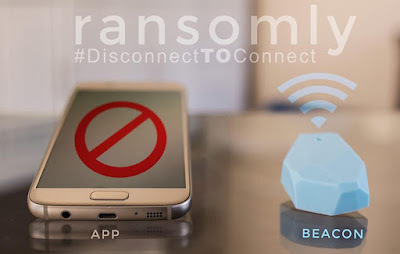 Smart Bluetooth Beacon: Smart phones and smart devices have become an integral part of our lives and more we use it more we are getting away from having personal time with our family and friends. In gone by days, least dinnertime was supposed to be a family time, but now we have kids with their smart devices at the dinner table while having dinner. To make thing better and to have a little of personal time we have this Smart Bluetooth Beacon. Its designed to create 'quiet' spaces and let you reconnect with the real people in your lives. This Smart Bluetooth Beacon works along with its app and blocks your home screen when you are in range of its signal. Its perfect for those times when you want to have some quiet or family time - in dining room, a bedroom, a car, or any other place. All you need to do is install its app on the Android phone and when the smartphone is in range of the smart Beacon; the home screen will be locked. Buy Now: $40. Sensativestrips. 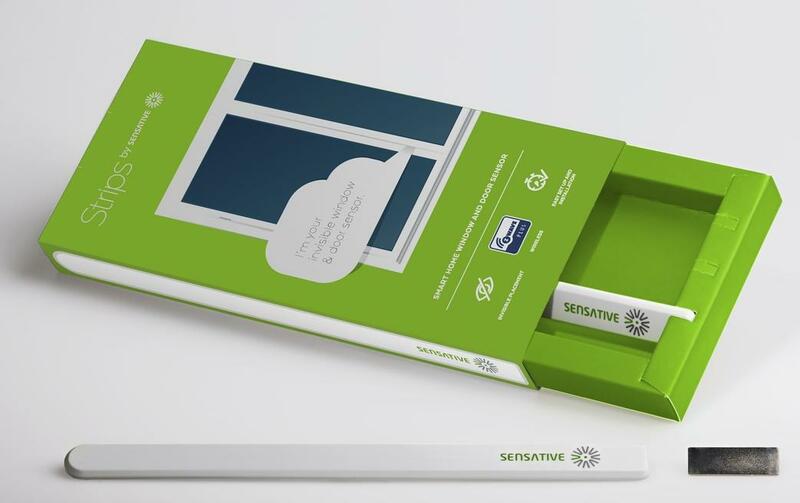 : Sensativestrips is a thin wireless, magnetic, window and doorsensor that can be placed invisibly on most windows and doors. It notifies you if you've left any door or window open or if something goes wrong and can communicate with other smart home devices. Its Z-Wave Plus certifies and alerts you through your smart phone. Its less than 3 mm thick, and comes with a batterylife of up to ten years. With it on your every window and door, you get full perimeter protection. It's suitable for both indoor and outdoor usage. Buy Now: $59.95. Zeuspro: While you are streaming a movie and it starts buffering…………. you know what it means. 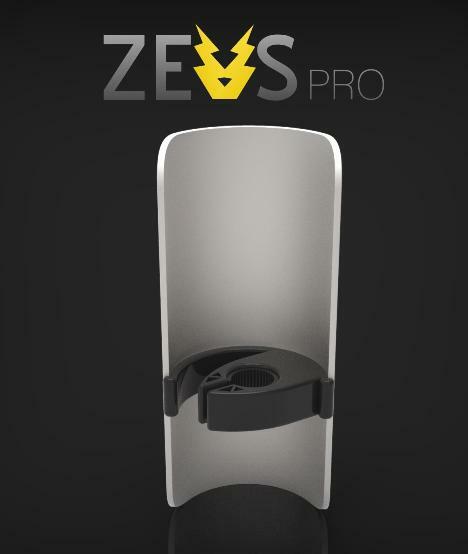 Zeuspro comes into the pictures here; this universal non-electrical Wi-Fi amplifier gives you a flawless Wi-Fi signal at every required spot. All you need to do place it on your router antenna and it collects the Wi-Fi signals and focuses it within 180 towards the place you choose and 3 times further to each direction. It's made from a special non-metallic clip that does not interfere with the perfection of its parabolic metal reflector. Just place it on top of the antenna and point it towards the area with a weak or missing signal and rest is take care off. Pre-order: $30. Smart Cube: Smart Cube is a Bluetooth locking device that works with its app and turns your smartphone into the key. It's easy to install in any cupboard, cabinet or drawer. 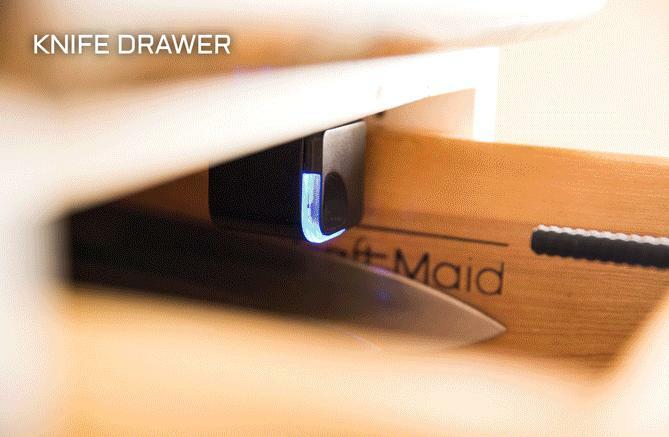 This portable locking system gives you a convenient way to secure your things that matters. Pre-order: $69. Switchflip: Switchflip is a smart lighting automation that lets you customize your lighting and use the switch you already have. You can control one or more lights using the existing wall switch. All you need to do is plug the transmitter into your switch-controlled outlet, then plug the receiver into any other outlet and now use the existing wall switch and control your devices. With a range of up to 100 ft, you can even control lights in other rooms. It requires no smart phone, app, Wi-Fi, rewiring, or installation. Pre-order: From $35. AirVisual Node: The quality of air you breath plays an important role in you being healthy. AirVisual Node is a smart air monitor that gives you real time accurate air quality data both indoors and outdoors. It alerts you on your smart phone when air becomes unhealthy. It also connects to its established platforms to provide you with enhanced feature. Pre-order: $199. H1 Immersive Home Theater: It wont be wrong to say no home is complete without a good home theatre. 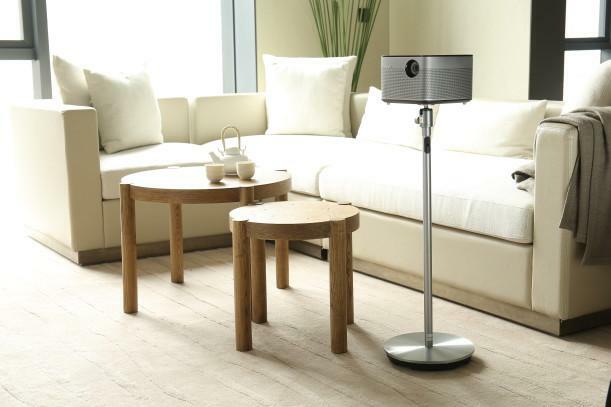 The H1 Smart Projector with Harman Kardon built-in stereo by XGIMI is a smart projector that truly displays the clarity and precision of TRUE HD 1920 x 1080p, HD display up to 300", brightness rated at 900 ANSI lumens for effortless daytime or bright-light viewing, Harman Kardon 45mm built in Bluetooth Hi-Fi stereo sound and Android OS. More info. 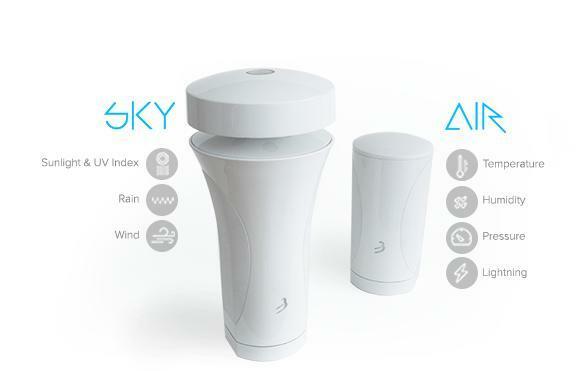 WeatherFlow Smart Weather Stations: WeatherFlow Smart Weather Stations are easy to install, configure, and use, and gets precise information about weather conditions at your house. Its Smart Home Ready and works with popular smart home platforms. Use the data to optimize heating and cooling, adjust your irrigation schedule, close your garage door when its about to get windy and more. Pre-order: $209. 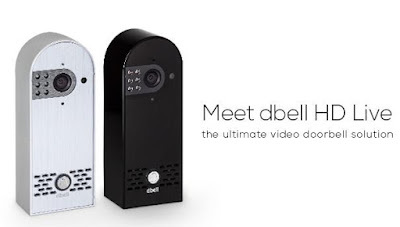 dbell live Smartest Video Doorbell: The dbell HD live is a smart doorbell and security camera that lets you answer the door from your smartphone. 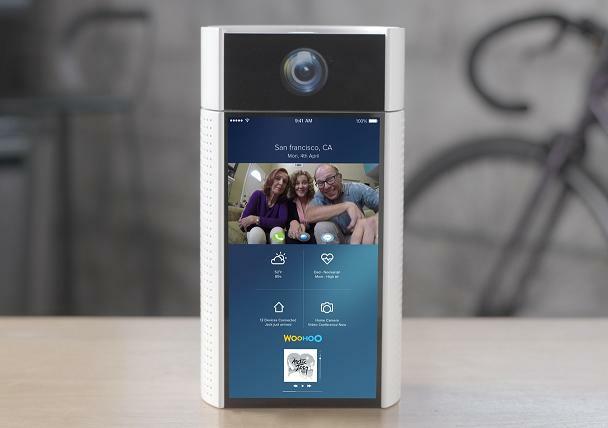 It lets you know who is at your door at anytime, from anywhere, and lets you interact with visitors from your smartphone, smart device, PC and more. You can also view from your TV. It features 160° wide-angle HD video camera, microphone, speaker, Wi-Fi or wired Ethernet connection and multiplesensors to keep your family and your home safe. It alerts you when the doorbell is rung or when it detects anything moving or sound is detected. You can schedule recording, save footage to your NVR, HDD and view your property on demand at anytime without a smartphone. Pre-order: $149. Smarke: Smarke is a keyless entry solution that includes an intercom and keypad. Its smart lock lets you lock and unlock your door using your smartphone via Bluetooth. Using its app you can give temporary or permanent access to your guests, friends, family and more. You can place its intercom chip into the existing intercom box inside your apartment and it gives you access to the entrance to your building without using a key. Its Nightlatch Smart Lock is designed to work on all doors anywhere in the world. Its Keypad is perfect for those times when your smartphone runs out of juice and you need to enter the building. Pre-order: From $169.